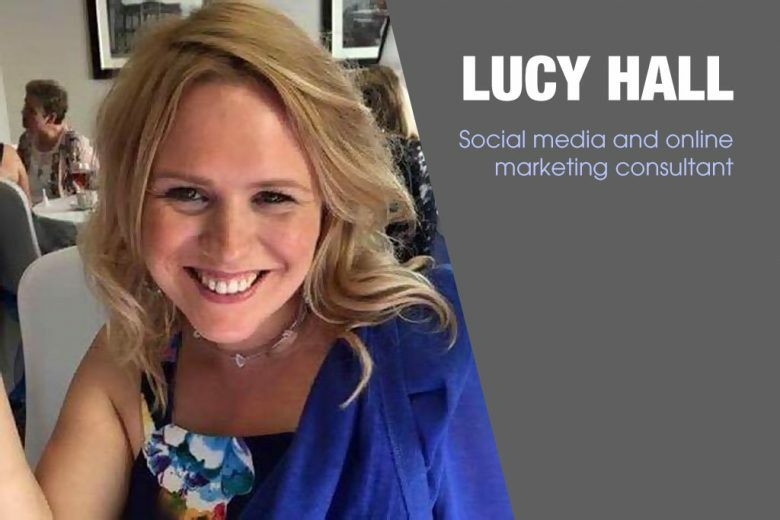 Find out how mum Lucy Hall combined her lifelong passion for business and experience in sales into a successful career as a social media and online marketing consultant. I come from a family of small business owners, market traders and antique dealers. I spent my childhood and teens working on the family market stalls. At 18 I had my first internet business and became one of the first eBay PowerSellers back in 2002. During this time I became obsessed with learning everything about the net including using HTML and sending email campaigns and anything online marketing. I moved to work in the corporate world as a sales manager for a large media company and then radio station for a few years before getting back to starting online businesses. When did you first get into social media? In 2010 I went back to online retail business; there was something inside me the whole time I was working in the corporate world. I was selling things on the side even though I was earning a pretty good salary – I would buy and sell small items for the buzz of it. I remember taking a holiday to Cornwall and having to bring 20-30 packages with me of Princess Kate-style dresses that I’d sold that weekend. At this point I was hooked. I gave up my job and started doing this full time. I’d built my own website and was doing my own social media, and after a few months people started to ask for help. I began getting clients through word of mouth and it spiralled from there. I am still a student of the internet and it’s an absolute passion for me to know exactly how it works and to teach others how to use the various platforms and tools available. How does your background help you with social media? I am a sales girl through and through. This helps me because I understand that whatever we do on social media, it should eventually have a tangible outcome, otherwise it’s pointless. I also understand the small business owner having been one and having spent my life with them. They have very different struggles to medium and large companies, and at the same time with social media they have this massive opportunity to level the playing field. It’s never been easier to reach out to influencers and speak to the previously unobtainable. Whats your favourite social media platform, and why? I can’t answer that! They are all my favourite for different reasons. I love Instagram because it’s so visual and I love to create beautiful images from blog posts which drive traffic and conversation. Twitter is an awesome lead generator and I’ve made some lifelong connections there. Periscope is like social media on steroids for call to actions and relationship building, and I have found Facebook the best for generating sales. What are the biggest mistakes you see businesses make on social media? The biggest mistake businesses make is that people try social media and then they don’t do it right so they say it doesn’t work. Or they hire someone like their son or daughter who can use Facebook to do it for them, but they don’t realise it’s not about how to use social media, it’s about the messages and funnels you create to use social media as a vehicle to raise your profile, generate traffic and of course get more business! The other big mistake is thinking you need a massively ridiculous strategy to start with. The best thing a business can do is just get started and see what works and what doesn’t, then work out a strategy based on that. If they spend so much time worrying about strategy they waste time never getting started and could miss out on business. Just being authentic on social media and not pretending you know it all does wonders for gaining the trust of an audience or community! How do you help businesses with social media? I am a social media and online marketing consultant so I help businesses and individuals to not only understand the ‘why’ of social media but also how they should use it to grow their business. This includes not only social media as an isolated channel, but how to integrate it with email marketing and lead generation. I also run the online success academy which is online learning for business owners with my support. What have been your biggest successes as an entrepreneur? I think I’m yet to have my biggest success! But I feel like it’s coming. I think just getting started is the biggest thing. I just take the leap and try things and work out the strategy based on my mistakes and wins. I am a mum! So juggling the day to day is a challenge. However having said that it’s a positive because running a business and being my own boss means I can choose when I work and when we play! Social Day is a one day forum – the first taking place in London on 9 November 2015 with support from NatWest. The event is a day for SME’s which teaches them not just what to do but exactly how to do social media. What are your three top social media tips for businesses? Don’t wait! Just get started. Work out what works and what doesn’t and create a strategy based on that. Remember social media is just one part of the vehicle. Don’t neglect other aspects of your online presence. Social Day, a one day social media forum for SMEs, is taking place in London on Monday 9 November 2015. Tickets are £30 and include workshops, an expert panel session, lunch and networking. Find out more here.